Â o Is it God's Will? My real name is Bill Chadwick. Zoom is my screen name. I got it off my modem.... clever egh? I live in Prairieville, LA, near Baton Rouge. I am 50 years old, happily married with three children....two sons and one daughter. I hope you enjoy my HUMBLE page. Here is a PICTURE of me if you can possibly stand it! 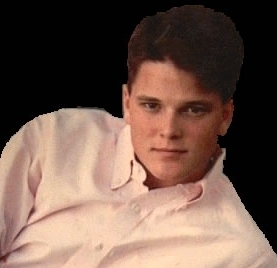 On October 23, 1993 my 21 year old son, Michael, was killed in a alcohol related car crash. It was as if my world had ended. Through some valuable resources on the net, and The Compassionate Friends support group, I have been able to experience recovery from my grief....and much joy has returned to my life. Here are some things I wrote and some other Web resources that helped me. I hope they help you too! MY STORY This is the story of Michael's death. A miracle happens when we share our stories with eachother. It's very powerful stuff. Here is my miracle for you!! Michael's story is also posted on Tom Golden's Grief Page. Notice that there are many, many stories there...and know that you are NOT ALONE. Perhaps you would like to post a tribute to your loved one here....when you are ready. LAMENTING SONS - Father's Grief...A wonderful resource for men. Tony Salvatore's memorial to his son Paul. THE COMPASSIONATE FRIENDS - National support group for bereaved parents and siblings. GROWTH HOUSE, INC. - This resource site is so good....I put it on the front page! Be sure to check this one out!! ALT.SUPPORT.GRIEF - A Usenet News Grief Support Group - A Cyber-Miracle! THE ADC PROJECT - After Death Communications by Bill & Judy Guggenheim, authors of "Hello From Heaven."